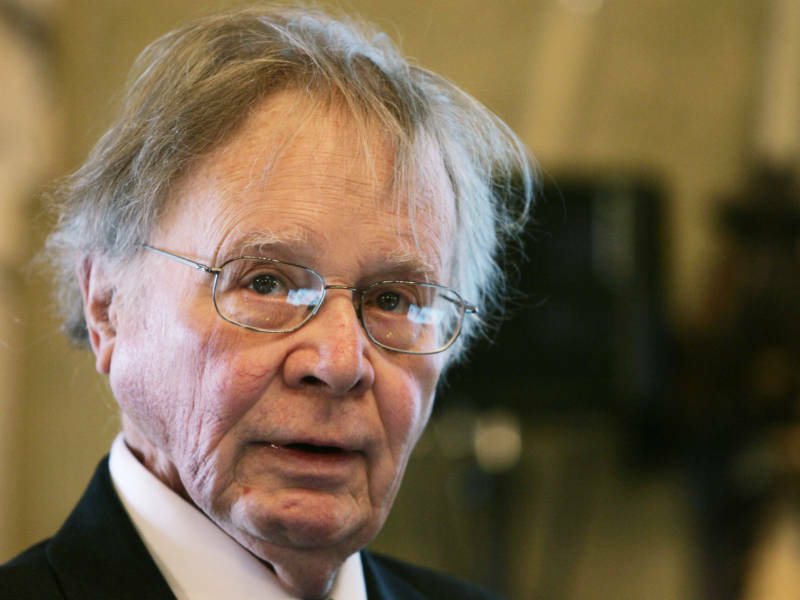 Wallace Broecker, a climate scientist who brought the term "global warming" into the public and scientific lexicon, died on Monday. He was 87. Broecker, a professor in the department of earth and environmental science at Columbia, was among the early scientists who raised alarms about the drastic changes in the planet's climate that humans could bring about over a relatively short period of time. His 1975 paper "Climatic Change: Are We on the Brink of a Pronounced Global Warming?" predicted the current rise in global temperatures as a result of increased carbon dioxide levels — and popularized the term "global warming" to describe the phenomenon. The geoscientist was also known for recognizing the global "conveyor belt," a system of deep-ocean currents that circulate water between the continents. Sean Solomon, director of Columbia's Lamont-Doherty Earth Observatory, where Broecker worked, called his late colleague a force for scientific innovation. "It is difficult to imagine ... a Columbia University without [Broecker's] intellectual vision, his gift for distilling the important from the merely interesting, and his sustained passion for his science, his colleagues, and his planet," Solomon wrote in an email to colleagues that he shared with NPR. "One of the last of the giants of our field no longer walks among us." Broecker's work focused on the ocean's role in climate change and the behavior of the climate throughout the planet's history, as The New York Times reported in 1998. As early as the '70s, Broecker spoke openly about the need to restrict fossil fuels and the disruptive effects that just a few degrees of warming could have on the environment. "The climate system is an angry beast and we are poking it with sticks," he told the Times. Broecker was born in Chicago in 1931 and grew up in Oak Park, according to AP. He received his bachelor's and master's from Columbia University, as well as his doctorate in geology, which he earned in 1958. He joined the university's faculty the next year. In a testament to his impact on the field, Broecker came to be known by his peers as the "grandfather of climate science" and "dean of climate scientists." But to his many friends, he was just "Wally."